I was thirteen in 1968 and living large in my very own room. By then I'd resided in the outskirts of Mandan, North Dakota for one and a half very long years. Life had not been good. We moved to Mandan and to the "business" in December of 1966, smack-dab in the middle of the school year. What could be better than stepping through the doorway of an alien sixth-grade classroom and seeing twenty strangers eyeing you suspiciously? It took me a couple of months to find a friend. I made some missteps along the way. A hard girl in the school yard deigned to speak to me. I can't even remember her name; I think she dropped out sometime around ninth grade and was never seen again. Another new girl started sixth grade the same day as me. Anne Nelson was a supercilious dweeb, and I would never have been friends with her, regardless of our coinciding start dates. Nevertheless, she seemed to find a friend right away. At least when I finally found one, I really found one. Alice and I would trip through the next six years together; always together. Of course, if you name your band the Lemon Pipers, you deserve all the scorn that is heaped upon you. And sometime in April, Walter Cronkite announced on the CBS Evening News that Martin Luther King had been shot. To be frank, I knew little about the man. I was thirteen. I surmised, however, from Cronkite's somber tone that MLK was somebody important. They were searching for a guy, James Earl Ray, who had fled the scene. 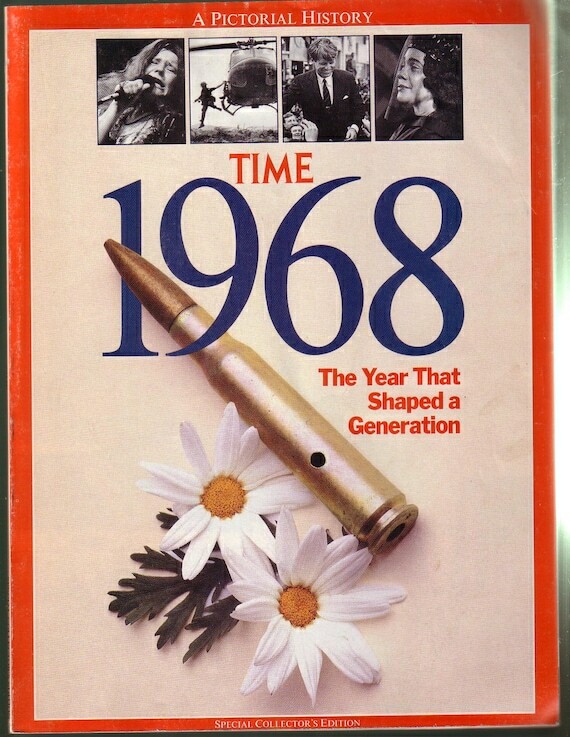 In 1968 everybody wanted to be a good citizen. A random traveler who had checked into Mom and Dad's motel thought he spotted a guy (traveling with a blonde) who he was sure was the absconded shooter, and the traveler called in a tip. Thus, a local news crew showed up in our office to interview Mom. It was one of those news stories that wasn't an actual story. Yet, they they were, sticking a camera in Mom's face, asking her questions as she fidgeted behind the check-in desk. I sat in the background, entranced and amused by the spectacle. They should have interviewed the guy; the moron who saw spooks around every corner, instead of putting Mom on the spot. Yet, that was Mom's only claim to fame -- being interviewed on KXMB for a tale about an innocent tourist who just happened to look kind of, sort of, like a notorious killer. I don't remember what Mom said, but if it had been me, I would have been flummoxed. "Uh, yea, the guy checked in and I gave him a room key. That's about it, really." Needless to say, the man who'd been fingered wasn't James Earl Ray. Plus, he drove a Cadillac, and what self-respecting assassin owns a Cadillac? Come on. A Dodge Dart, maybe. By the summer of that year, my big brother had enlisted in the National Guard so he wouldn't get shipped off to Viet Nam. He had a new wife and the two of them lived in a basement apartment in downtown Mandan. Rick's new wife, Kathy, asked me to spend the week with her while my brother was away at Guard camp at Fort Ripley. I'd never actually lived in a town, ever. I could actually walk places! Where I chose to walk was to St. Joseph's Catholic Church. I was steeped in mysticism then, most likely because I was searching for a lifeline (it didn't last). One Friday night, sharing the double bed with Kathy, snoring away contentedly, I felt a hand on my shoulder. "Shelly, they're saying on the radio that Kennedy was shot! At first I thought they were talking about John Kennedy, but..."
We got up and turned the radio dial louder. The announcer was speaking in hushed tones, a rustle of shouts in the background, from far away in Los Angeles. A benign song for an insane time.